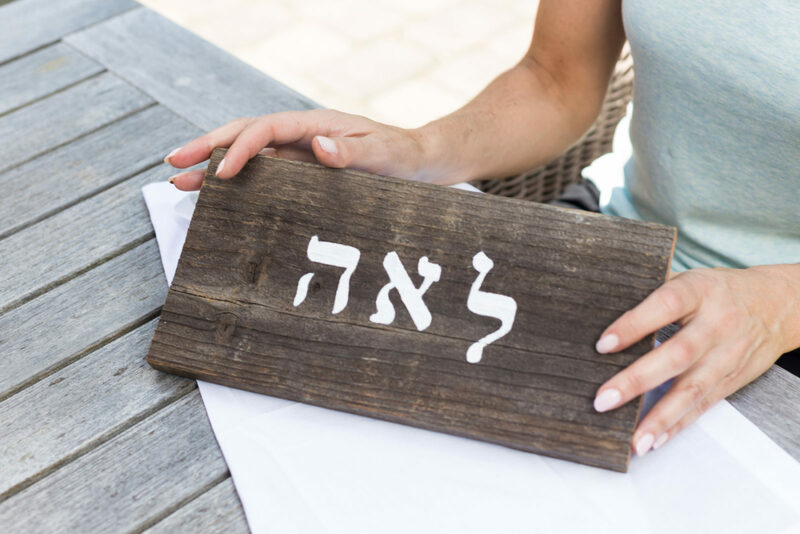 A Hebrew name is given to Jewish children at their birth and it is customary to be called upon their Jewish names during significant points in their Jewish life such as their birth and when they are called to the torah for their bar/bat mitzvah. Andy’s daughter Caroline’s Hebrew name, Rivkah Sarah, is after her Grandma Betty and Nanny Sophie. 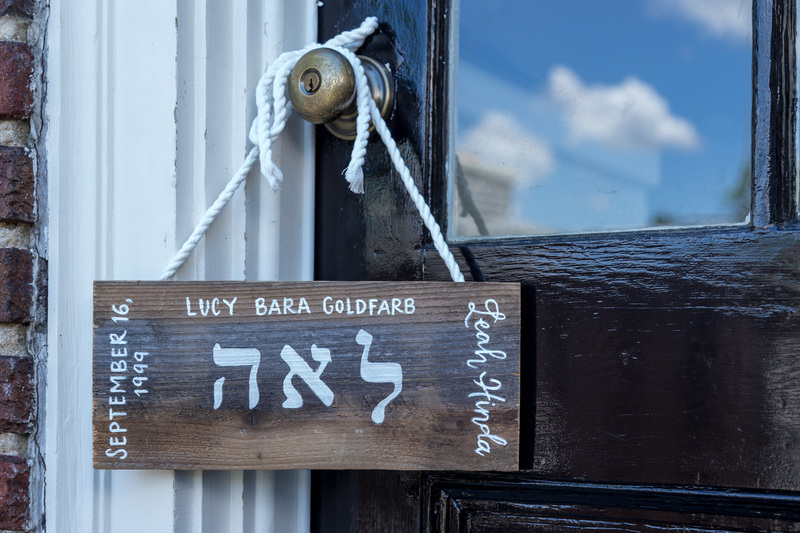 His daughter Lucy’s Hebrew name, Leah Hinda, is after her Grandma Lee and Grandma Helen. 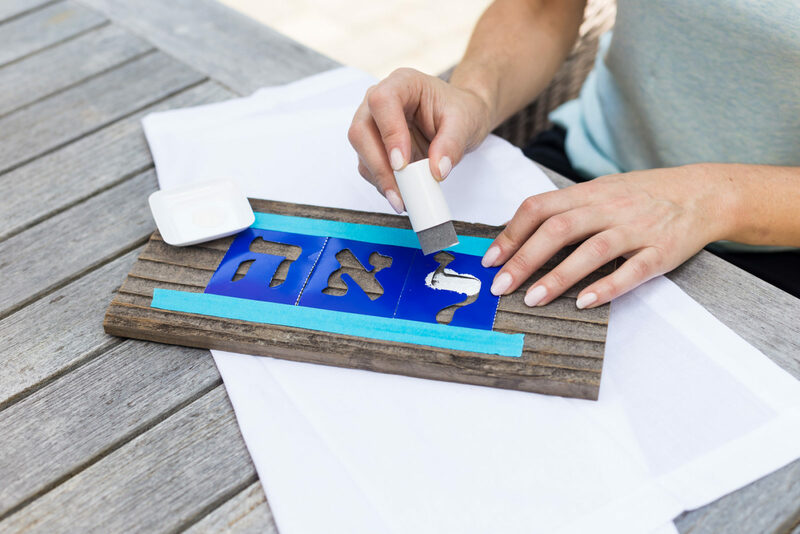 Creating a beautiful work of art using a Hebrew name is a fun way for guests to learn about the meaning of their name. 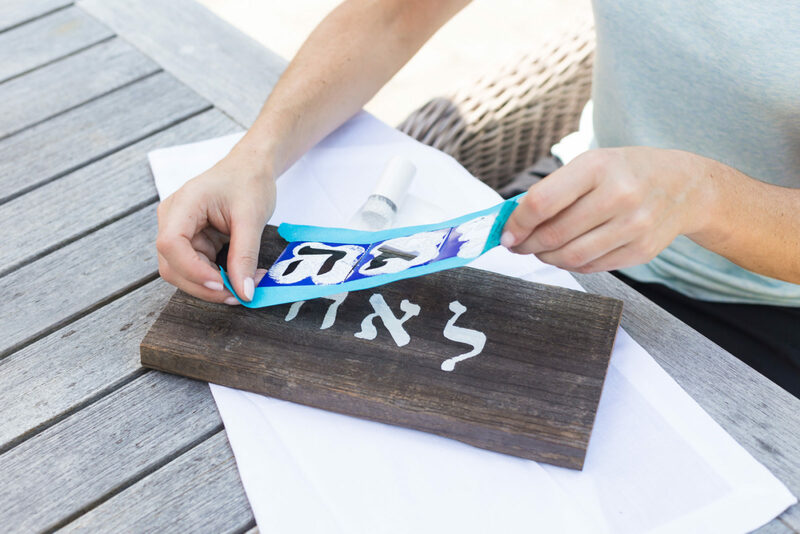 These signs double as a unique take home for your guests as well! You supply the materials and supplies and they create. Or, you can have a local artist live on-site at your event to create in front of your guests. 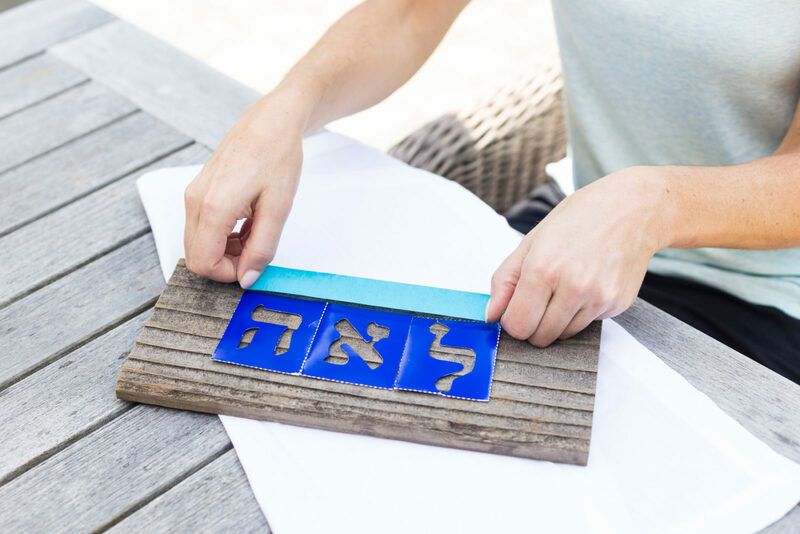 Either way this is a unique and magical way to showcase your guests’ names and birthday (a special occasion) at your significant special occasion! 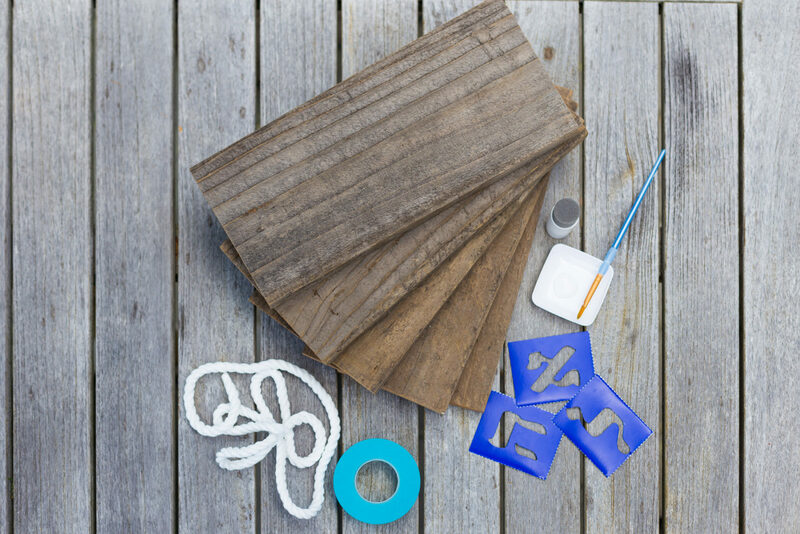 lay them (remember right to left) on your board side by side. Add any embellishments you choose…..birthdate, name and meaning…..